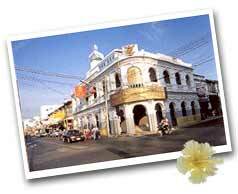 Visiting Phuket Island highlights such as Khao Rang (Rang Hill) for spectacular view of Phuket Town. This temple where stands the cast statue of Luang Por Cham, who helped the people put downthe Ahngyee, or Chinese Coolie Rebellion in 1876 during the reign of King Rama V. There are also ohter statues of famous monks which gain the respect from all people of Phuket. 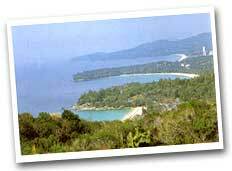 Situate along the scenic road on the coastline, the view point is where you can witness the beautiful bays of Kata Noi, Kata, Karon and Kho Poo Island, one of the island's best scenic spot. The beautiful peninsular adjacent to the famous Nai Harn Beach. 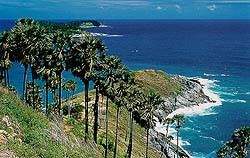 Phuket's southernmost point which is the perfect place to view spectacular sunset. Half Day 5 Hrs. Special Price Please Contact us !!! Full Day 8 Hrs. Special Price Please Contact us !! !